Soooo cute! But I kind of miss your preggo style series! You were the cutest preggo mamma ever! Perhaps another baby soon? Please!??? Haha! I kid kid.. Take your time.. Your little one is adorable! love it, you are seriously adorable! and that top is perfect. loves it :) glad you're keeping the outfit posts going for us non-mamas!! keep looking fantastic lady!! 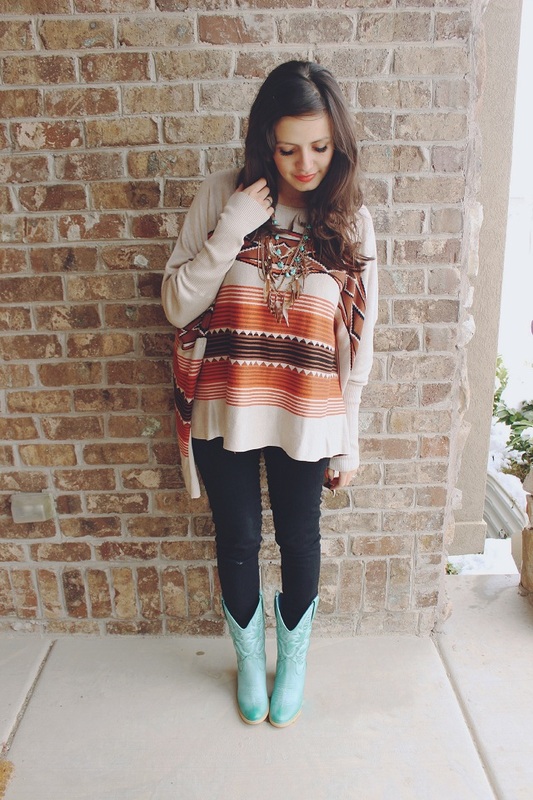 Love this top & the boots are the perfect POP. i love the colors, esp the boots! i love the color mint. nailed it lady! 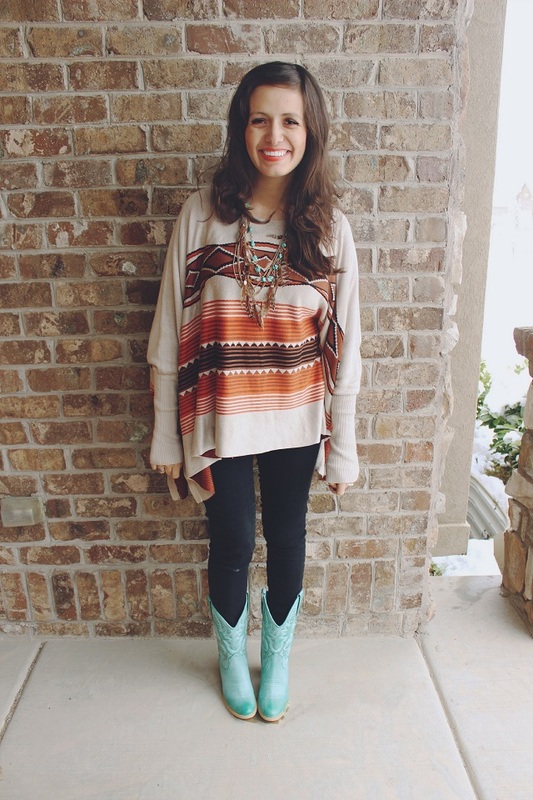 those boots are too cute :) you look great! I love the top and the baby blue boots, you look so beautiful! Cecilia, such a cute and versatile outfit. 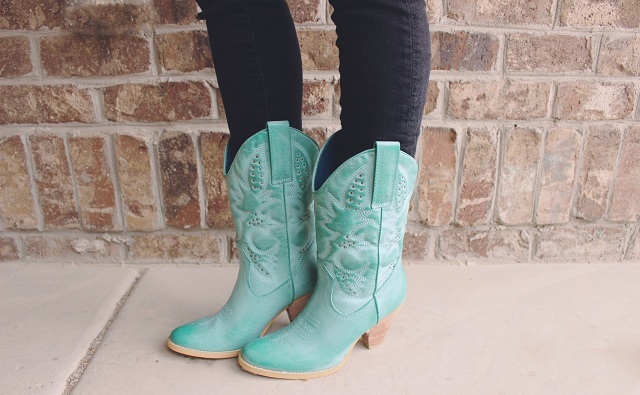 The cowboy boots adds a fun twist and color. What an adorable shirt. I love how you paired the aqua boots with it. Can't wait to see how you style amazing new outfits that match your new mommy lifestyle. 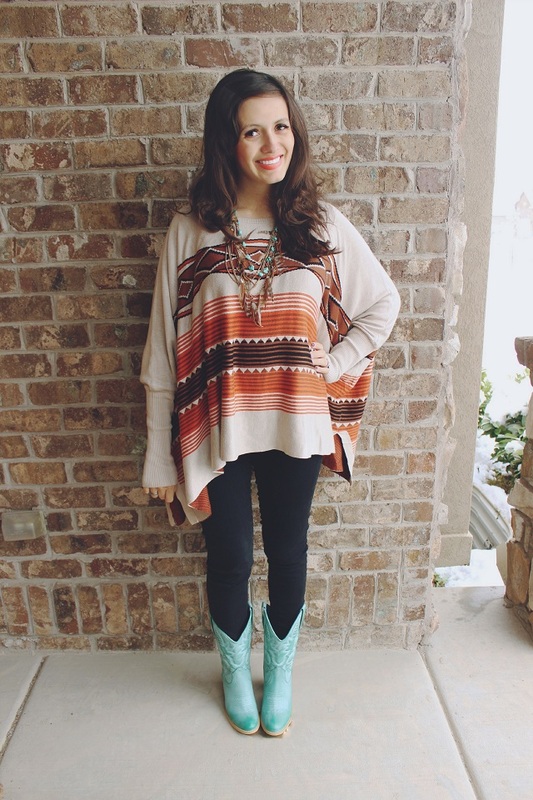 Those cowboy boots are adorable! <3 And you look fabulous! Little Zaden is just too cute! CECILIA!!! you do post-pregnancy so well. this outfit looks incredible. i'd like it when you're done. please and thank you. You look too good, it's not fair! I LOVE that top!! So excited to see all your outfits!! love love love the outfit! and the boots, perfection! you are just lovely! i can't even tell you how much i love this look and your hair! you look so good and put together and glowing for just having a baby, lady. ahhhhh, so cute! PERFECT breastfeeding TOP EVER!! I've nursed for so long ( we are doing child led weaning) and my go to outfits are maxi dresses, the types that have sort of bras built into them. Never found a comfortable nursing bra, let me know if you do!!! This top is so lovely! I want! Even though I'm not breastfeeding or anything...Haha. You look so cute, I love the tiffany blue boots! You're too cute! 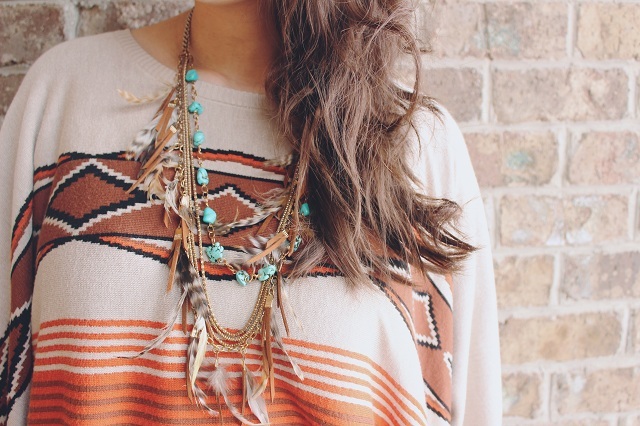 love the sweater & boots! Absolutely love this outfit. My guy is 8 months now and I am totally rocking cool mom style (I think! haha), but when he was first born I struggled to get dressed up. And being bigger than usual made me sad. You look beautiful! You are the loveliest thing, I am super excited that I found your blog!! You have amazing style!! It's always great finding other mormon bloggers!! :) Hope you have a lovely week! !